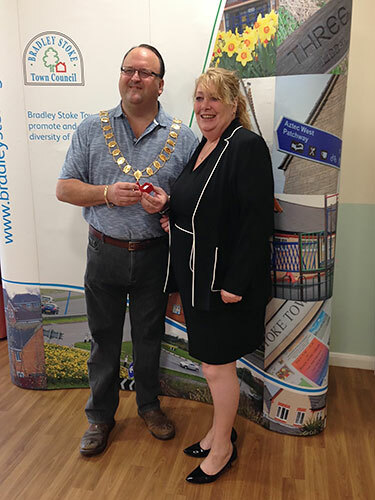 At Bradley Stoke Town Council’s Annual General Meeting held on Wednesday 10th May 2017, Councillor Andy Ward was appointed by the Council to the position of Mayor of Bradley Stoke for the forthcoming year. 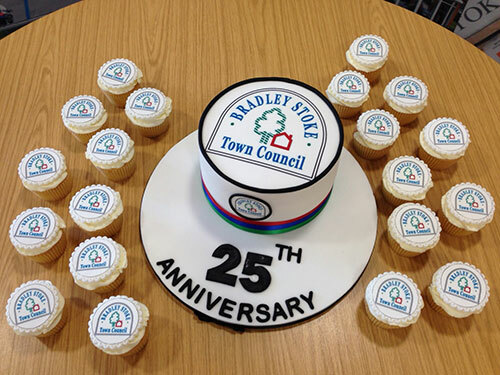 At the Annual Town Assembly, which took place immediately before the AGM, Councillors, Officers and Electors marked the special occasion of 25 Years since the formation of the Town Council back in April 1992, with the cutting of a commemorative cake. 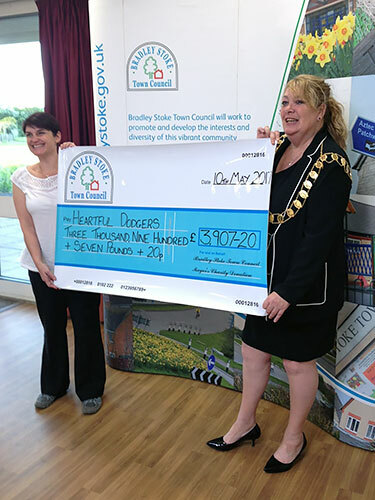 The outgoing Mayor Councillor Elaine Hardwick, welcomed everyone to the meeting and explained that it was her pleasure, as the last action in her role of Mayor of the Town, to present cheques to the two recipients of the Mayor’s Charity Fund. 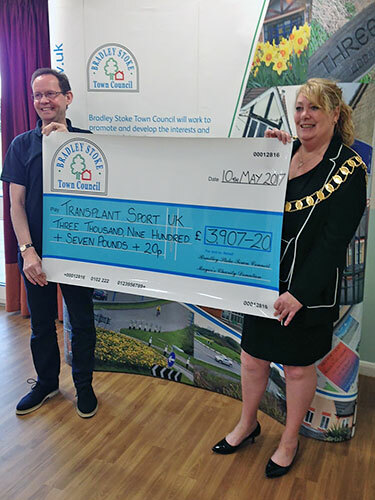 A total of £7,814.40 had been raised over the past year that was split between the Heartful Dodgers and Transplant Sport UK, both receiving 50% of the total amounting to £3,907.20 each. Representatives of the charities accepted the cheques. Upon Councillor Andy Ward’s appointment to the position of Mayor, he thanked all councillors for his nomination and then Chaired the Meeting after signing the Declaration of Acceptance of Office. He thanked Councillor Elaine Hardwick for her respectable work as Mayor during the past year. The Mayor then announced that his two Mayoral Charities for the year 2017/18 will be Cardiomyopathy UK and Freewheelers Emergency Voluntary Service. Councillor Andy Ward has been a sitting councillor in Bradley Stoke since 2013 (currently representing the Primrose Bridge Ward).